The CRAQ goes to space! Canadian astronaut David Saint-Jacques, who reached the International Space Station (ISS) today, takes with him a small part of the CRAQ. During a mission in space, astronauts often have the possibility of carrying small personal items in their luggage. David Saint-Jacques wanted to bring with him logos of organizations that were important throughout his career. 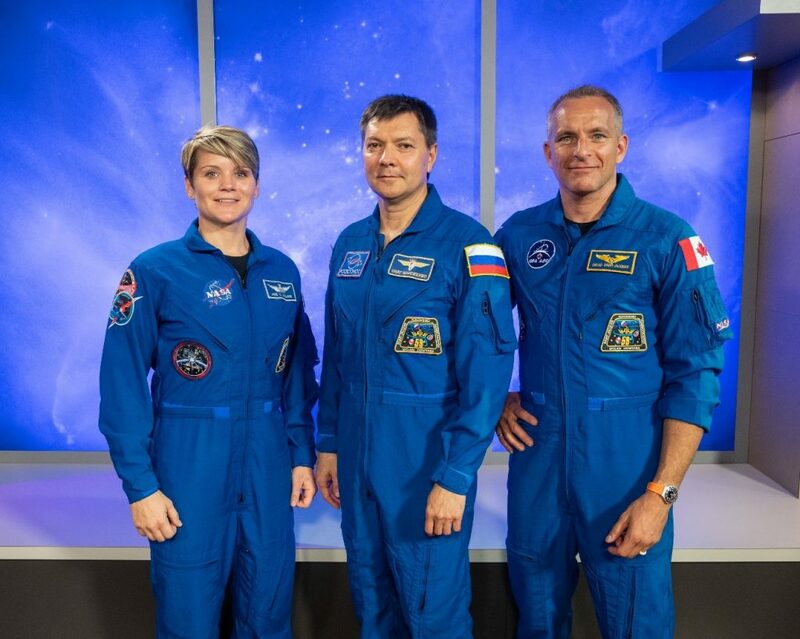 Among other things, he expressed the desire to fly the logo of the Center for Research in Astrophysics of Quebec (CRAQ) aboard the International Space Station. It is with pride that we accepted his offer. The CRAQ logo will stay in space for several months, orbiting the Earth. We look forward to the return of this unique memorabilia for our research center. The CRAQ warmly thanks the Canadian Space Agency (CSA) and David Saint-Jacques for this generous offer. We also take the opportunity to wish him good luck on his mission. The Centre for Research in Astrophysics of Quebec (CRAQ) brings together all the astrophysicists in Quebec. Nearly 150 people, including some fifty researchers and their students from Université de Montréal, McGill University, Université Laval, Bishop’s University, Cégep de Sherbrooke and several other collaborating institutions are part of the cluster. The objectives of the CRAQ are to ensure the excellence of astrophysical research in Quebec and to stimulate its impact at the national, international and industrial level as well as in Quebec’s society. To this end, the CRAQ supervises the allocation of material and financial resources for its members, promotes scientific and technological collaborations, dispenses higher education and advanced training to students, and contributes to the implementation of this field of knowledge in Quebec’s culture. The CRAQ is one of the strategic clusters funded by the Fonds de recherche du Québec – Nature and Technologies (FRQNT).